In a medium saucepan heat oil and butter over medium heat. Saute green onions and garlic until tender (about 4 minutes). Stir in rice, orzo and curry powder, coating well. 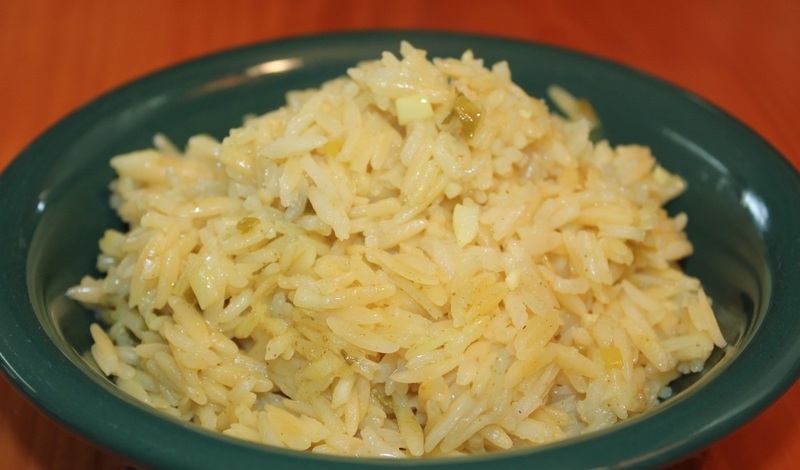 Cook 3-4 minutes, stirring well until rice/orzo are slightly golden in color. Slowly add wine and broth to rice mixture. To get more of a chicken flavor you can add 1-1/2 teaspoons of a low sodium chicken bullion when you add the curry powder + 1-3/4 cups water in place of the chicken broth. This will change the sodium to 330 mg and the protein to 4.6 g.